Urns Through Time, A source of ceramic urns, funeral urns or funerary urns. A source of handmade ceramic cremation urns. This very elegant urn is Raku fired. 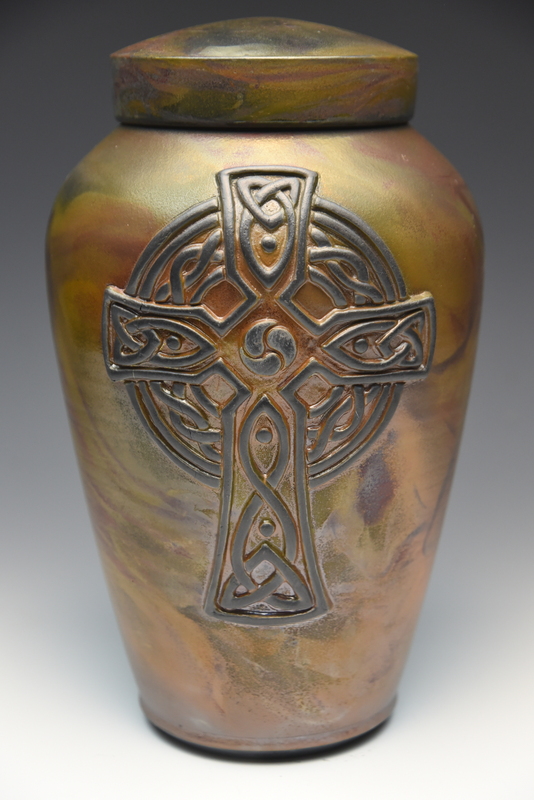 This is a hand-made cremation urn with a raised carved Celtic Cross on the front. Raku is a traditional ancient Japanese firing process. 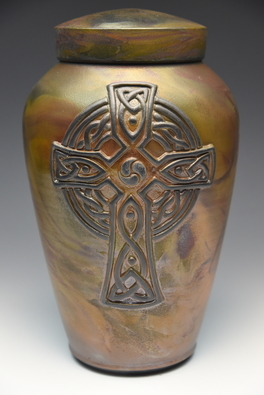 You may order this urn in a Keepsake Size which is 45 cubic inches. Or add Keepsake Size urns to your order simply enter the quantity below. In Raku firing each piece of pottery is taken from the kiln red hot, the molten glaze silken and glowing. Then it is placed in a bed of straw or leaves in an air-tight container. The dry plant material immediately bursts into flame and the “reduction chamber” is sealed. The flame and the smoking, oxygen starved atmosphere transform the glaze surface creating the unique, seemingly ancient, colors and textures of raku. 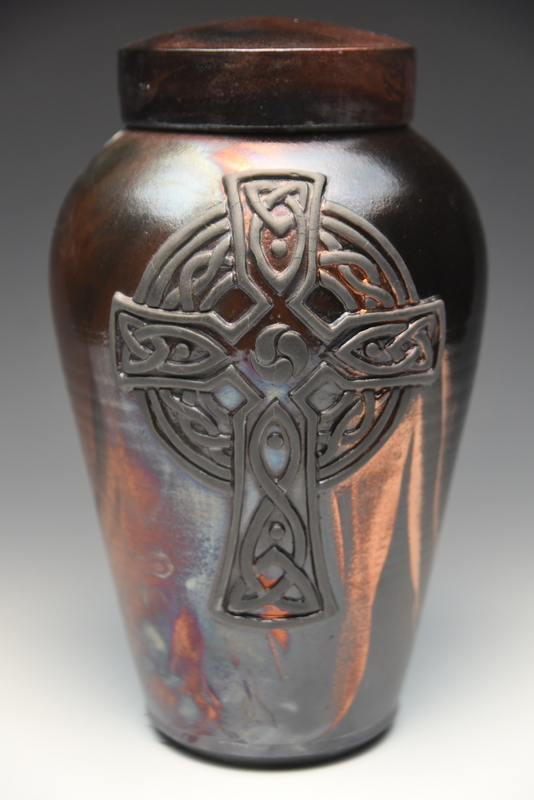 So each of our Raku fired urns is special and one of a kind. Shown to the left is Dolphin Blue and below Aqua Crackle. Usually ships with in 17 business days.